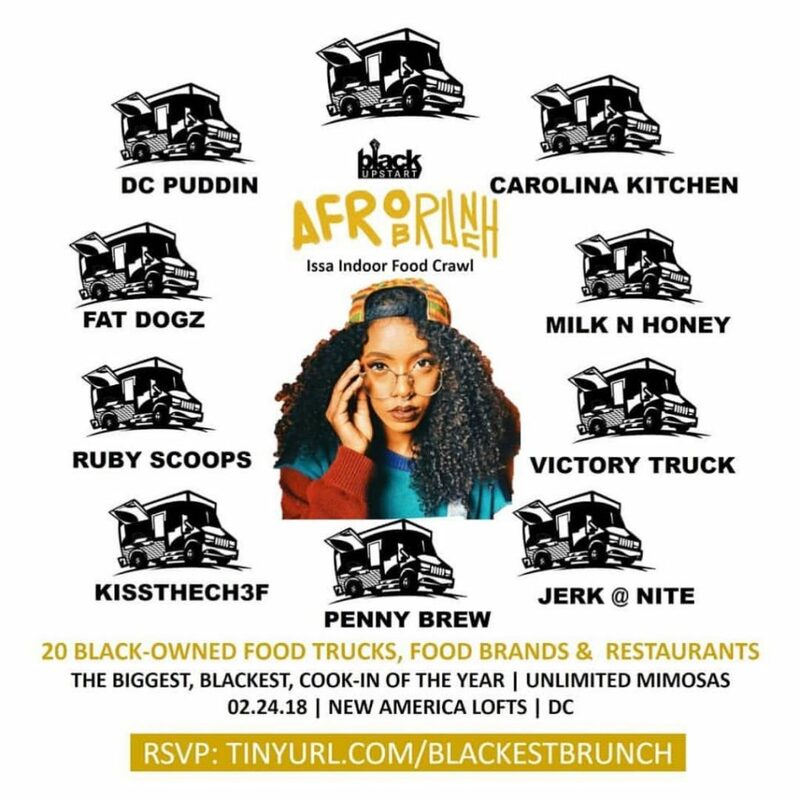 Warm up indoors with a full-plated brunch, grass floor and the down South feel of an upscale, turn up at Afrobrunch – the biggest, blackest cook-in of the year! Curated by Black upStart (instagram.com/theblackupstart), this unique event will re-imagine your favorite backyard BBQ. It’s a Black foodies dream! 20 Black owned restaurants, food trucks, food vendors, food brands and Black chefs will host popup food stations featuring Lousiana-style, soul food, cajun style, Caribbean, vegan fare + desserts. Your ticket to Afrobrunch includes one full plate (entree, two sides and one dessert). Sweet tea, lemonade, coffee will be available at a cash bar. Kool-Aid Mimosas, Peach Mimosas, Traditional Mimosas. Sold separately, or with brunch ticket.